Minnesota Family Law is a pretty broad spectrum. To narrow it down a little more the Family Law Attorney at Kallemeyn & Kallemeyn Law Firm has had over 20 years of experience in dealing with and getting to know Minnesota Family Law, how family law has evolved and how it will continue to evolve as our world continues to spin. The one thing constant about our existence is change and when that change involves your immediate family it can be difficult to process. Lisa Kallemeyn is a reputable Family Law Attorney that can help you get legal clarification when changes affect the people you hold the closest. Divorce – Divorcing the person you once married is almost as stressful as death, many studies report. But it doesn’t have to be an endless journey of miscommunication that becomes drawn out for what seems like forever. Instead, choose the right divorce path, the right lawyer and the stress of divorce can greatly decrease. 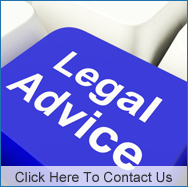 Have a say without all the stress and contact our divorce lawyer today. Child Custody – There is very little that means more to a parent than the custody of their own child. Before the split, there was no need to think of it but now you’ve got to set it in stone so that responsibility is placed fairly and your children are safe, secure and loved at all times. Child Support – Raising a child is not an affordable feat. Both biological parents need to uphold their responsibility for their child. If it is not with time, then at least some financial responsibility needs to be placed on the party. Our Family Law Attorneys can help with legal matters concerning child support. 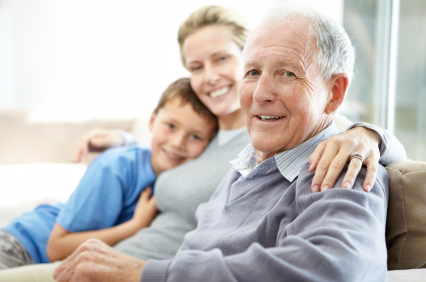 Grandparent’s Rights – There are times when a grandparent should step in, for the sake of the child and that is when a Family Law Attorney should be contacted. Although grandparents do not get a legal say within the courts when a divorce is in process, it doesn’t mean they don’t have any right to see their grandchildren. If you would like to set up legal visitation or even if your situation is having you consider custody, our law office is focused on the needs of the child, first and foremost. Paternity – A child is born with only one legal parent in the state of Minnesota unless both parents signed a Recognition of Parentage when the child was born. If this did not happen, for any reason, there is only one legal parent (birth mother) until some action takes place. At this time the fathering parent has no legally enforceable rights at all to the child until and unless these are ordered by the Court. Paternity is tested for a number of reasons, if you have even one to get a paternity test contact our Family Law Office. Stepparent Adoption – It isn’t blood that makes family – it is LOVE that makes family! If you are ready to commit to a child you consider your own, even though you met after their birth we can help make it legal! So you can finally make that dentist appointment on your own. Contact our Minnesota Family Law Office to see how we can help you (763) 427-5131.